Girl working on computer. Girl doing hard work on laptop. Girl tired of dong hard work in notebook. Child is sitting in front of table and books. hd00:14Girl in front of computer. Child sitting in front of computer and among books laughing on something funny. hd00:11Getting angry. Girl working in front of computer getting angry. 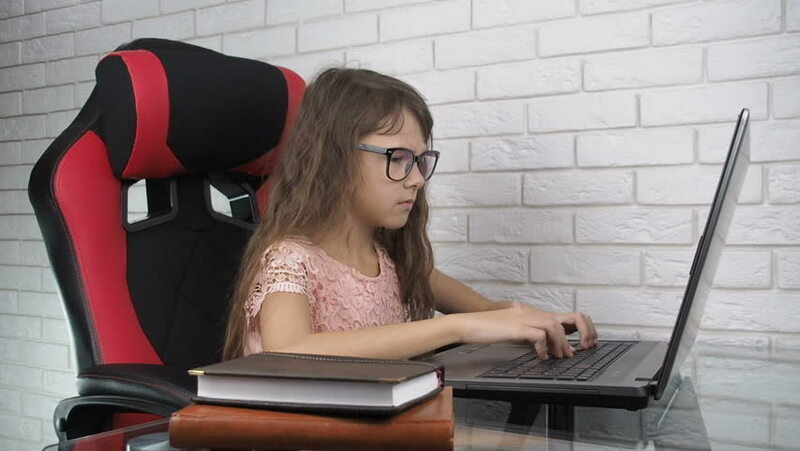 Girl sitting on chair and workong on computer between books. hd00:08Child getting surprized. Child workin on laptop. hd00:14Emotional child holds head. Child working on laptop. hd00:12Child with internet addiction. Internet makes girl angry. hd00:09Child getting scared. Girl watching horror movie. hd00:12Girl working on computer. ?hild wearing glasses having fun in front of computer among books. She is sitting on chair in the office. hd00:11Child working on school project. Happy girl having rest. hd00:11The child plays a DJ. hd00:16Wash the window. Mom and daughter wash windows. hd00:18Funny children. Children with a cream custard. Sisters play with a food cream. hd00:26A child draws a heart. A little girl draws paint on the glass. A child draws a heart. hd00:23Child addicted from gadgets. Mother takes away phone and notebook. hd00:29A child eats a hamburger. Little girl with a hamburger. hd00:12Smartphone addiction. The child plays with the gadget. Mother takes away the phone from the child. hd00:12The little girl took off her glasses for sight. A child with glasses for vision massages tired eyes.